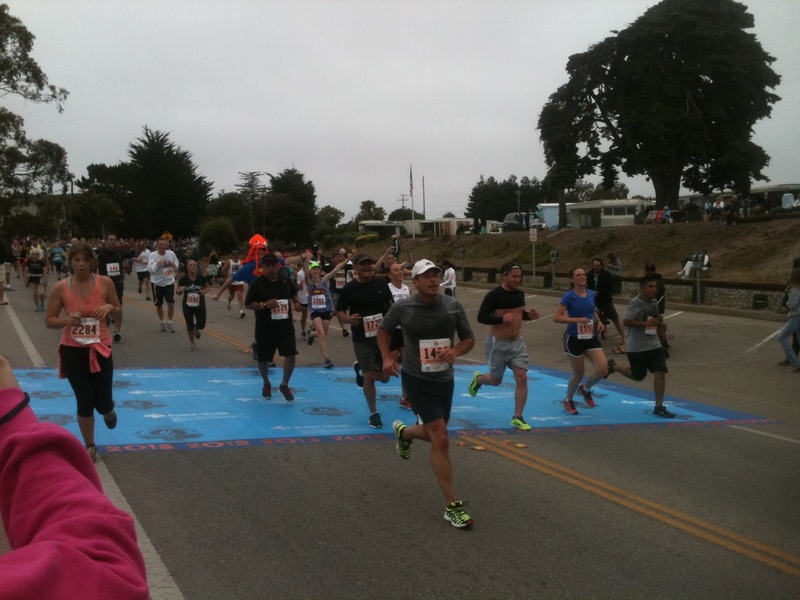 On a cool, overcast morning on the Santa Cruz coast watching the long parade of runners finishing the Wharf to Wharf race, I was glad to be on the sidelines. Despite the festive atmosphere, I've always found Wharf to Wharf to be an intense race. A loud canon "boom!" releases the runners from the starting line and a clawing mass of 15,000 runners wind through six miles over the streets of Santa Cruz to the music of the punk, classic rock, folk and heavy metal bands assembled along the course. I'm coming back from a heel injury and taking a bit of running layoff, and just didn't feel ready to take on that challenge. But my wife and her friend had a different point of view, which is why I was there to cheer them on at the finish. And what better way to celebrate a race than with a beer. 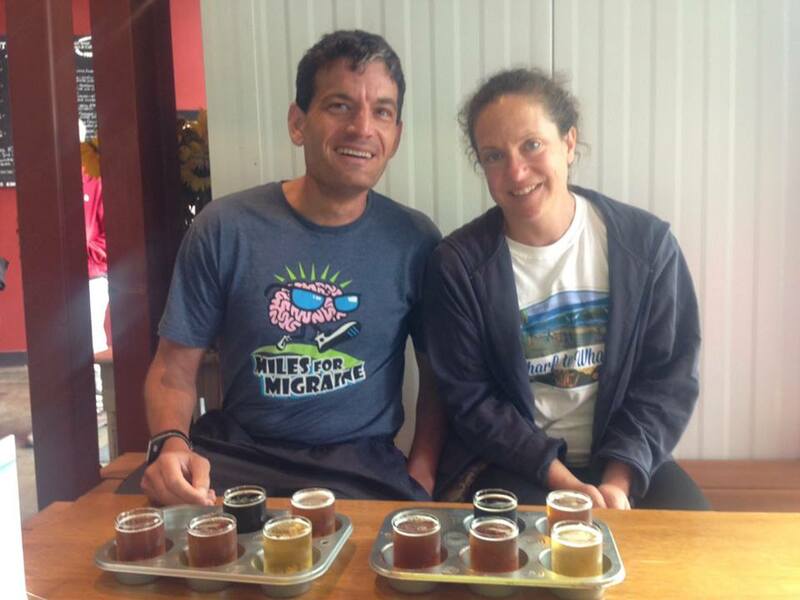 Discretion Brewing is the newest brewery in Santa Cruz's burgeoning brewing scene and their Soquel tap room is only 2-3 miles from the Wharf to Wharf finish line. Their First Conversation Sesion won Silver at the California State Fair, so I figured they must be doing something right. My wife and I enjoyed a sample flight of five beers and enjoyed one well crafted selection after another. Discretion uses only organic ingredients, so the yeast and malt tends to do more of the talking in their beers. I like the way Discretion creates beers that a complex and flavorful without hitting you over the head with strong flavors. Among the four of us, I'd have to say the favorite was their Third Conversation, an amber session where the lightly toasty malt combines wonderfully with a light touch of orange and coriander. At 4.3% abv, it's a session beer that makes you briefly say "wow" before getting back to the conversation at hand. All I can say is you're going to read more about Discretion here. The Audacity of "The Audacity of Hops"